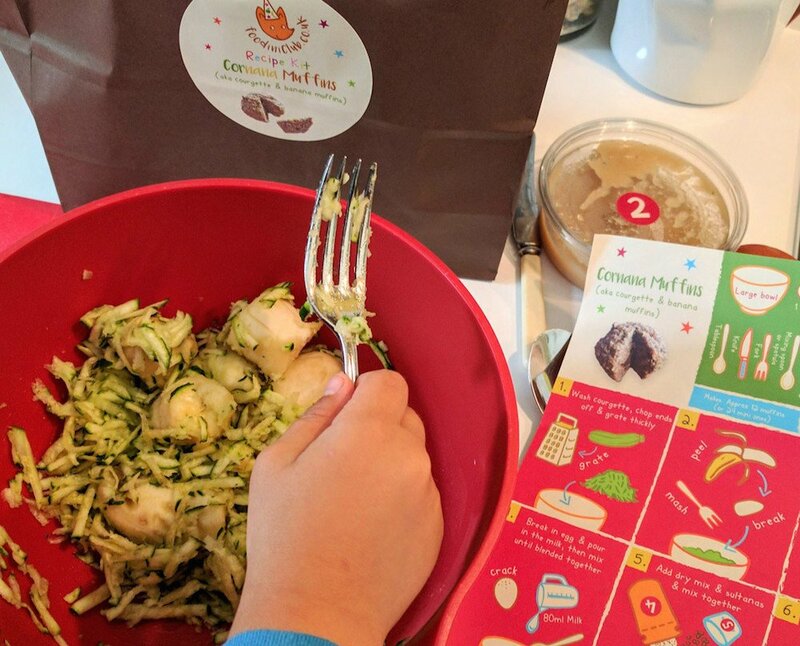 Muddy says: Turn even fussy eaters into mini food explorers with these fun children’s recipe kits, available by subscription. They’re also a great gift idea. 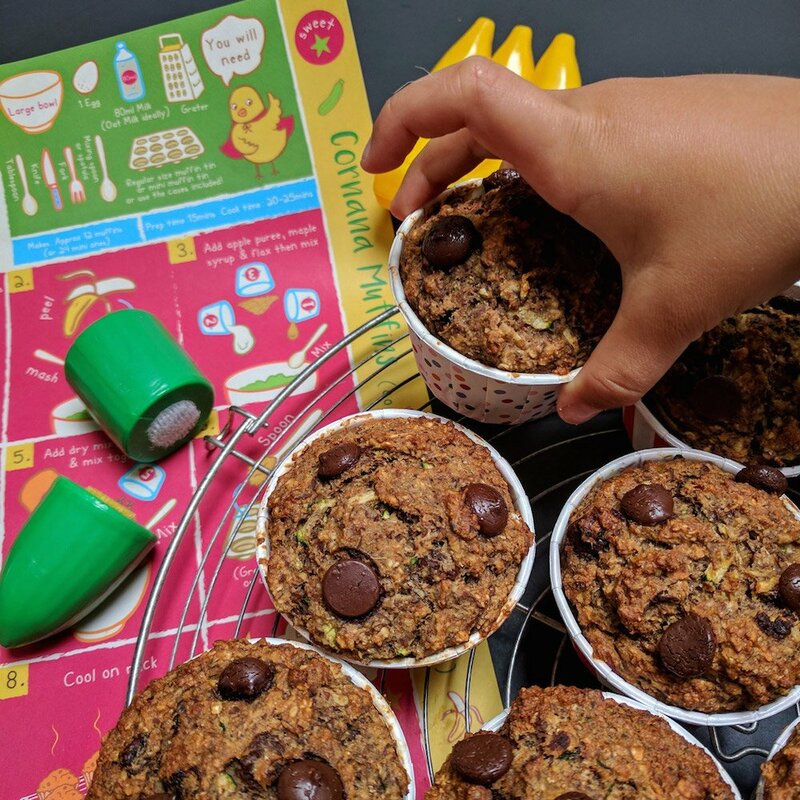 Get kids aged 3+ cooking (and eating) with these clever new children’s recipe kits from Brighton’s Foodini Club. Subscribe to the club and each month you’ll receive illustrated recipe cards for one savoury and one naturally sweetened creation along with the non-perishable ingredients in eco-friendly packaging. If you live in Brighton or Hove you can also opt for the fresh ingredients to be delivered by electric bike. You and yours can them magic up snacks like spinach polenta chips and tomato sauce, spicy veg fritters or choconana muffins. 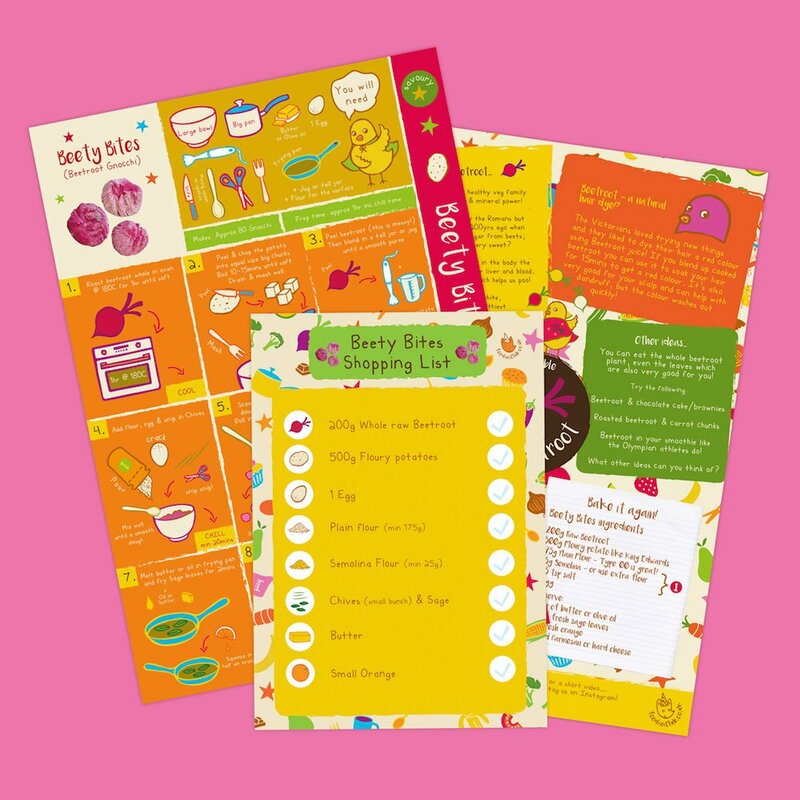 The fun kits encourage children to explore new and healthy foods. Each pack also includes a free craft or growing activity, like making a felt pizza or planting vegetable seeds. Chose your pack – single or double quantities – and the duration for your subscriptions, from a one-off month up to a whole year. You can also opt for the simple Recipe Card Club and source all the ingredients yourself. 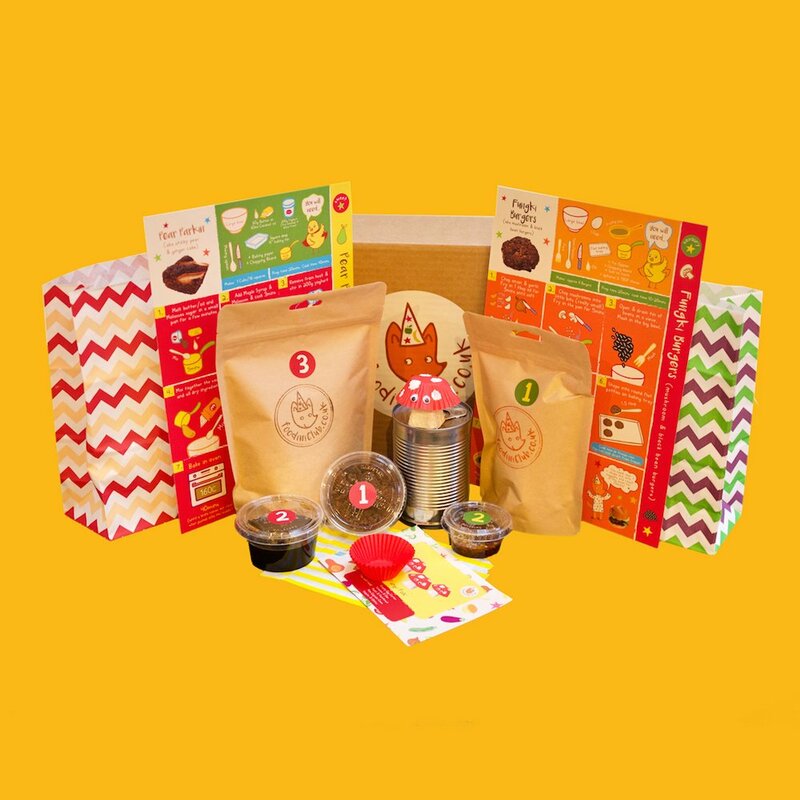 Of course, a subscription to Foodini Club makes a great gift and for kids’ birthdays there’s a party bag kit their friends can take home. If you’re local to Brighton you can also find Foodini at Florence Road Market and keep an eye out for pop-up workshops.